It can be quite difficult to decide between two managed WordPress hosting solutions with similar feature sets. 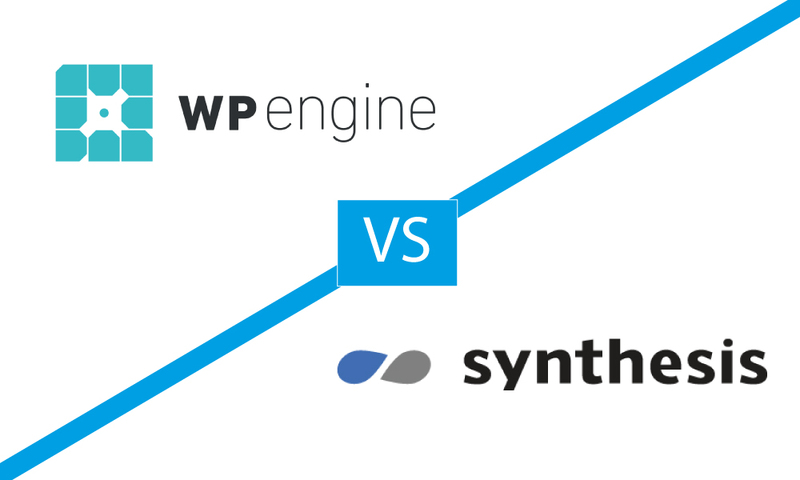 WPEngine and Web Synthesis are both excellent managed hosting systems. 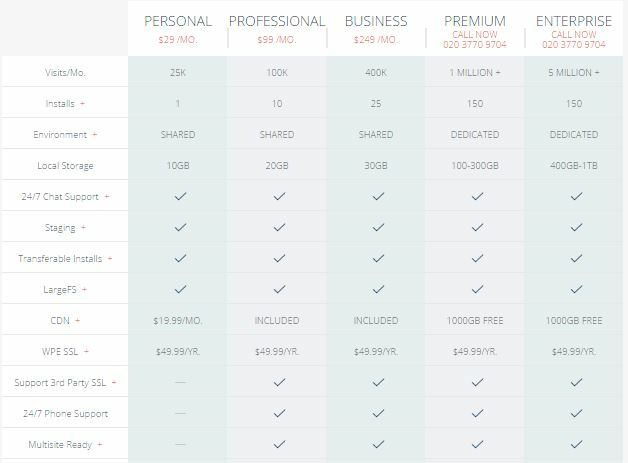 It goes without saying that these managed hosting services are not cheap, especially when you compare it with the shared hosting packages that you can get for as little as $2.95 a month from companies like Bluehost (review). But really you shouldn’t compare the two. Cheaper shared hosting is ideal for sites that are just starting out and that has low traffic levels. But when your site moves into the big league of high traffic sites, you’ll need a bit more power behind it to handle the extra capacity. That’s when services like WPEngine and Synthesis come in. Let’s take a look at which one may be better for your purposes specifically. The ability of your website to load quickly is not only important for keeping visitors, but it is also important in search engine optimization. When it comes to these two managed WordPress hosting solutions head-to-head, speed is a deadlock. They can both help your website to load within a couple of seconds. It is a good thing that both of these hosted solutions have 24 hour a day, seven day a week customer support. They both have a full staff, so you can go with either company here as well. However, this is something that you can test yourself. Before you have bought either solution, you can ask questions through email and which service responds more quickly to you. Both hosting solutions have tiered pricing structures for different levels of usage However, it is essential to look at the feature set that is being provided for each of these price levels. Let’s look at the basic price level, since that is the level at which most small businesses will be buying in. WPEngine gives you 25,000 monthly visits, unlimited bandwidth and 10 GB of data storage for $29 a month. Web Synthesis gives the user 650 GB of bandwidth and 3 GB of data storage. The visits are tracked daily and capped out at 2500 per day. That comes out to roughly 75,000 visits per month for around the same price level, $27 a month. If you plan on hosting a website that is fairly heavy in multimedia, the unlimited bandwidth of WPEngine may give you more bang for the buck. However, if you can keep your bandwidth low and you want to focus on bringing in an audience, Web Synthesis is the way to go. For small businesses, Web Synthesis seems to have the more useful plan, and you will save $24 a year on the price as well. Both of the solutions have automatic updates and backups, which is a good minimum to start with. You also get malware scanning with both packages. Both solutions will ensure the safety of your proprietary information because of the shared feature sets. However, WPEngine edges out Web Synthesis when it comes to some of the other features that you may look for in your managed WordPress hosting solution. First of all, you get a staging area that will allow you to audition changes without taking them live to your customer base. This can be a great way to test new apps without upsetting your growing audience. You will be able to see whether any changes will affect the speed of your site as well. WPEngine also gives you extra protection against hackers. If your website gets hacked, this is the only program of the two that will guarantee a fix of your website for free. However, if you are a Genesis framework user, you still may want to consider Web Synthesis, because the same parent company runs both programs. Both programs come with a relatively simple user interface that can be picked up and used right out-of-the-box. This is an important characteristic for any managed WordPress hosting solution provider – the only reason to get a managed WordPress hosting solution is to keep from having to become a technical expert in the first place. In terms of ease of use, both of the systems are fairly evenly matched. Even though the services are quite evenly matched in many categories, WP Engine edges out Web Synthesis because of the added feature sets that you get for only two dollars more per month. The free website repair is one of the best features that you could ever invest in as a small business website owner. Even though you have unlimited bandwidth with Web Synthesis, most small businesses really have no use for unlimited anything at the building stages of a campaign. The winner in my eyes is WPEngine, simply based on my own experiences with them over the years which you can read about in my WP-Engine review.